It's Thursday! I'm not sure which blogger started Three Things Thursday but I'm going to borrow the format in order to keep this post short, since I'm writing before work. 1. My mom brought me some "natural" (unprocessed, maybe?) honey and I've been putting it on everything. On sweet potatoes. In tea. 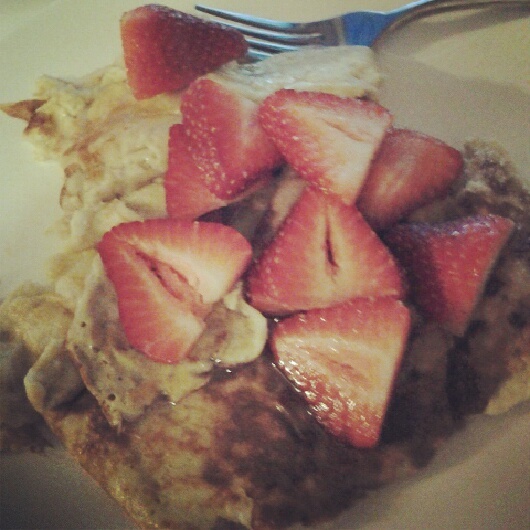 And this morning, on a two-ingredient pancake with strawberries. 2. 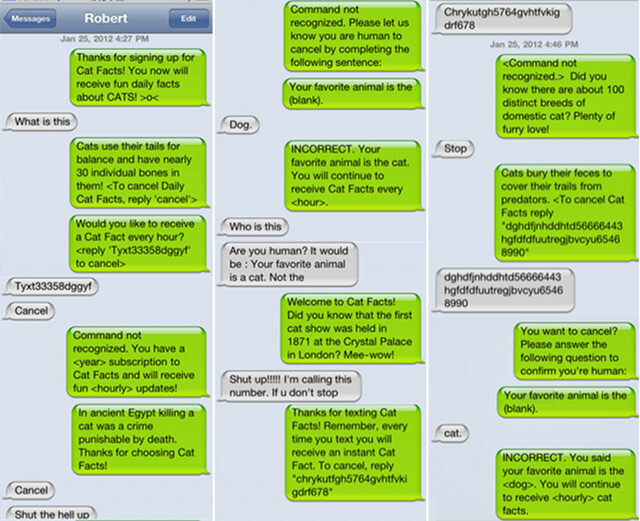 This past weekend I played the Cat Facts prank on the BF, who was not amused that he had been "signed up" for something like that. I swore up and down that I had nothing to do with it and then was outed by Colleen at my bday dinner on Tuesday night. 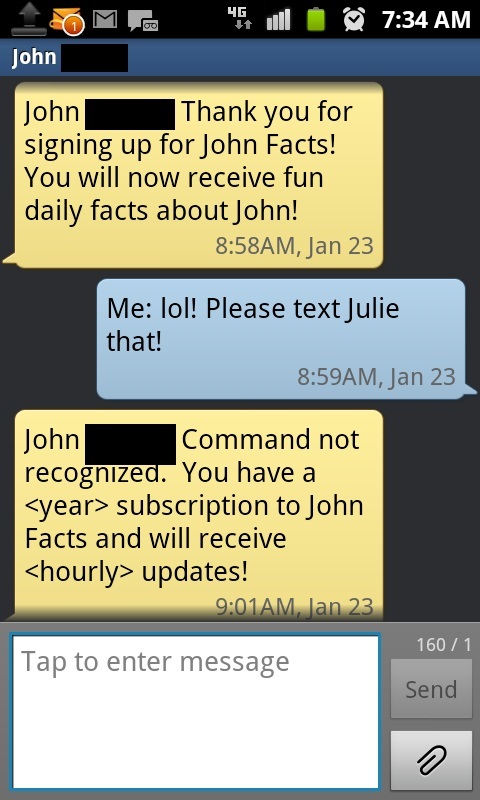 Yesterday I began to receive "John Facts" in retaliation but I'm loving it! 3. Tonight I'm going with my grandpa to a support group for Alzheimer's caregivers. I'm looking forward to learning more about the resources that are available for our family but I'm mostly excited that my grandpa initiated going. Baby steps. 3.5. I had the best run I've had in weeks this morning. Great start to the day!